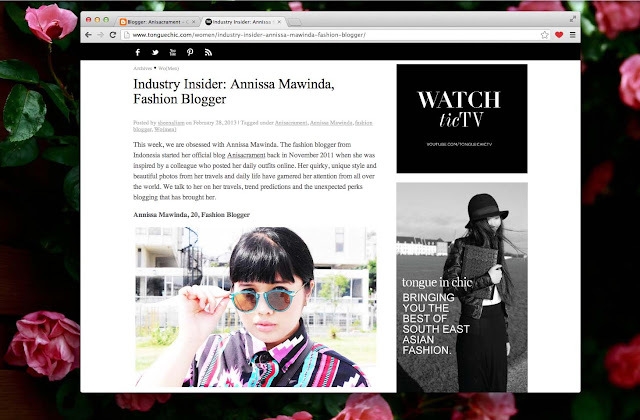 Featured in : Tongue in chic! This morning when I woke up, suddenly a long abandoned instagram account of mine gets a lot of notification from fabulous Malaysian peeps. The answers is here: Thank you Sheena for the Tongue in chic interview last week, I flattered enough to get such an opportunity! Click here to see the rest of my interview. 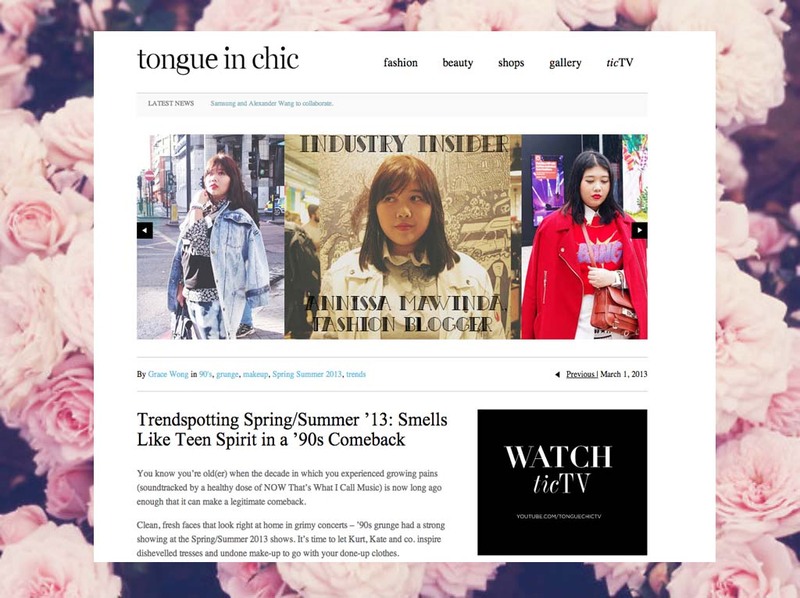 For your information Tongue in chic is one of the biggest online fashion magazine in Malaysia, honestly I'm a huge fan of that site! couldn't be more grateful seeing myself on the front page site through out this weekend. 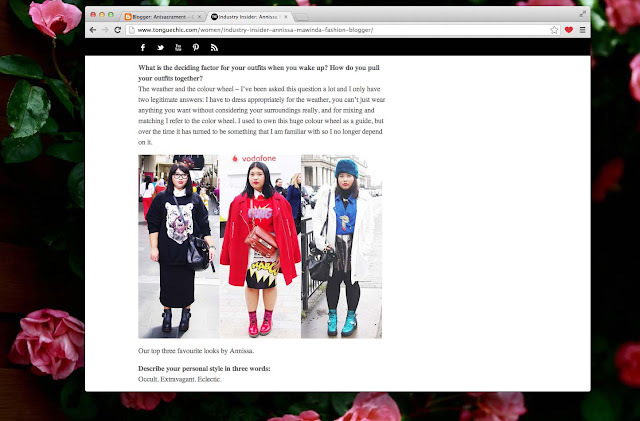 This entry was posted on Thursday, 28 February 2013 and is filed under Featured. You can follow any responses to this entry through the RSS 2.0. You can Comment. Too cool! congrats on the feature!